Bread is one of those baits that has caused a lot of controversy over the years because although the fish absolutely love it, there isn't any real nutrition within the bread for them to eat bread only and stay healthy which is the reason that some fisheries have banned bread as a bait. If you use bread sensibly as you would in your own food, there is no reason that it can't be used as a hugely successful bait. One of the main problems with bread is that it is soft but lots of clever people over the years have developed different ways to use bread and harden it up a bit too. The following method is not one we created and has been around for years but as new people are entering our sport every day there may be some out there that haven't seen it yet or it could be that you have simply forgotten about the method. Bread pellets are extremely easy to make and are very very effective. 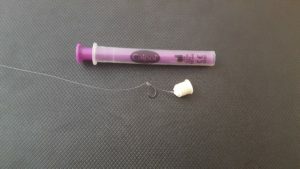 The general idea is to compress several bread discs together into a larger, firmer pellet which can then be hair rigged, cast further distances and withstands the pecking of smaller fish for longer. The first thing you want to do is make your hair rig, now the size of your hair rig all depends on the species of fish that you want to catch but in this example we are making a rig that will catch anything from bigger roach through to tench, bream, chub and carp. 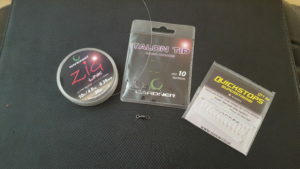 If you want to catch carp only for example then you could use 20lb fluoro and a size 2-4 hook. 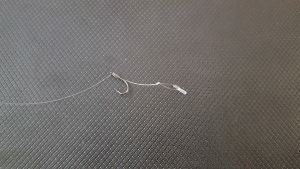 To make the rig thread the zig link through the quickstop and make a figure of eight loop around it. Thread the line through the back of the eye on the tolon tip hook and create a knotless knot at the distance you want from the figure of eight loop and then finally tie the size 8 swivel on using a uni knot at the distance you want the hair to be. 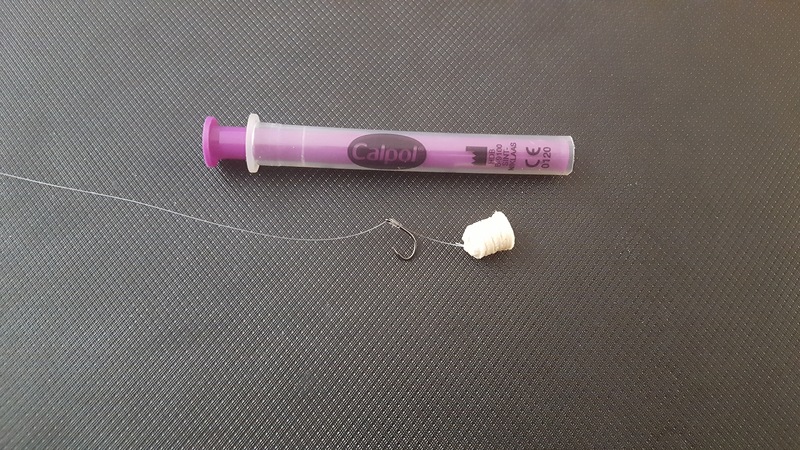 Moving on to the compressor and again what you use will depend on the size of the fish you are after but for a good all round size pellet then we have found that a calpol syringe is the perfect size. Once the end has been cut off the clear plastic piece you can then put the purple piece back into the clear piece and hey presto your bread pellet plunger is ready to use. Making the pellets is as simple as pulling the purple part of the plunger up the clear tube about half way. 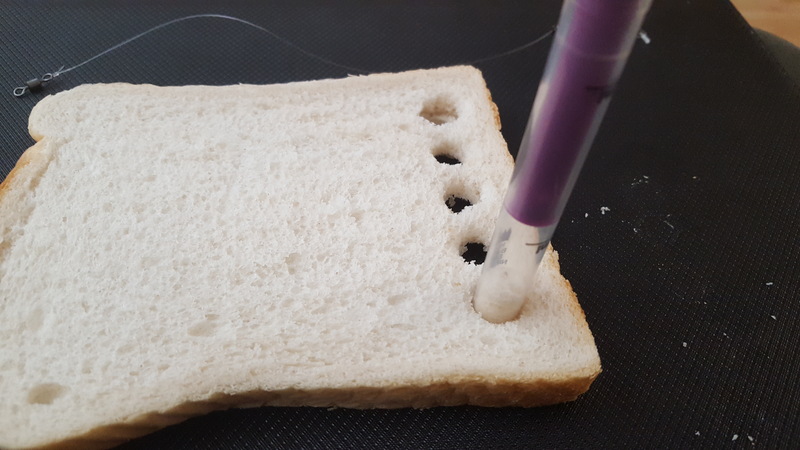 Take a slice of bread and punch several discs of bread into the clear tube (5-8 is usually a good amount), then place your finger over the open end of the clear tube and firmly push the purple part of the plunger back into the clear piece, making sure that you keep your finger over the opening so that the bread discs all compress together. Move your finger away from the opening and push the bread pellet out with the purple part of the plunger. 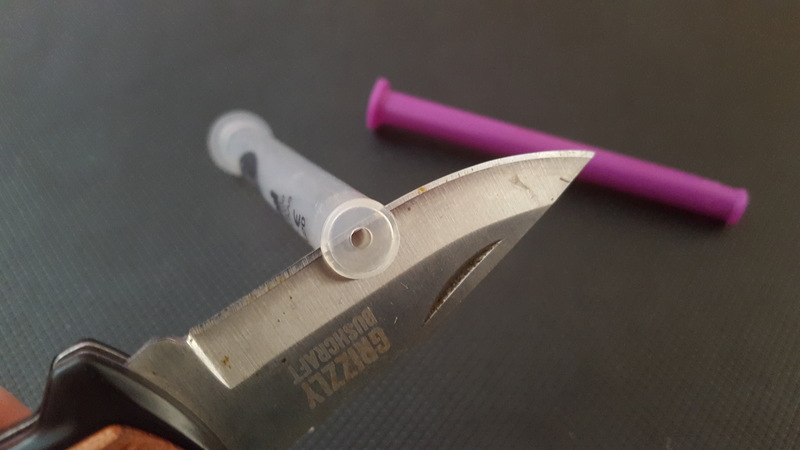 Take the quickstop (if you have the matching quickstop needle use that otherwise just use a safety pin or something similar) and using a needle placed in the quickstop push it through the middle of the bread pellet, remove the needle and then turn the quickstop sideways and gently pull it tight against the top of the bread pellet. 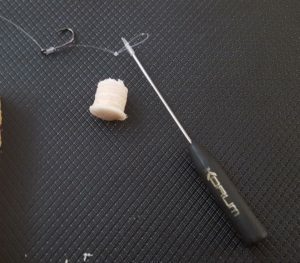 You can use this hair rig with running legers, method feeders or even on a lift method set up the options are entirely up to you. 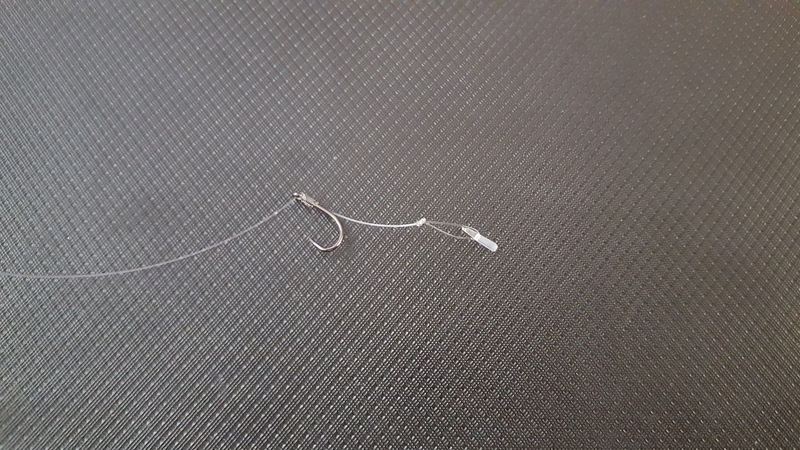 Here is the finished rig ready to attach to whatever method you wish to fish it with. Summer Piking (On The Broads), My Way.